My car has broken down!!!!! 1. GET SOMEWHERE SAFE. Stay safe and warm (or cool). 2. Call US first. Our number is 614.864.1600. We want to know that you’re safe, and also your name and phone number so that we can make sure to reach you once we look at your vehicle. Tell us what has happened (ex: the car turned itself off; all the dash lights came on; you heard a POP and then nothing, or you went into the store and came out and now it won’t start ) and let us know if it’s been working poorly lately. Sometimes a breakdown comes out of nowhere, sometimes there have been signs. We’ll want to know, but promise not to judge. We don’t expect you to “speak car” like us. It’s ok. If we’re not open, leave a message on the main voicemail or use the “contact us” button on the website. 3. Call the tow company and have them pick up your car. They’ll have questions for you about where the car is and ask where you want it to go. Our address is 1673 Brice Rd in Reynoldsburg. Each tow company has different rules about who has to be with the car and the transferring of the keys. You’ll need to ask those questions of the tow company. If you’re paying for the tow yourself, we recommend Marathon Towing in Pickerington if you’re on the Far East side. Their number is 614.837.8535. They have been towing cars as long as we’ve been fixing cars. They have a number of kinds of tow trucks and they’re nice people. Because we’ve been working with them for decades, if you’re an existing customer, we’ll pay for the tow and just put it on your repair bill so you don’t have to fuss with money on the side of the road. 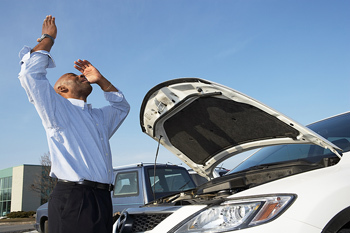 If you have an insurance policy that covers towing, they may want you to call their roadside assistance. They’ll talk you through that. 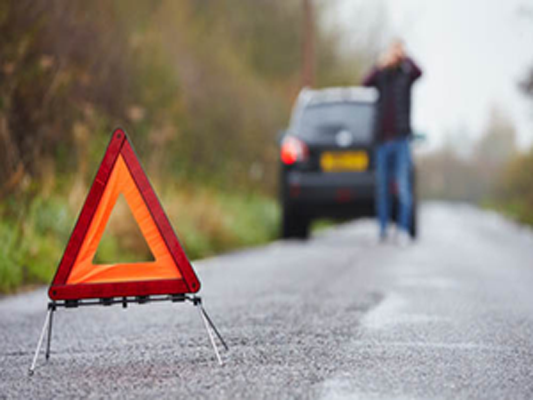 If you have AAA or another roadside assistance package, call them and follow their instructions. 4. Get to where you want to go, and don’t worry about your car. Most tow companies have brought vehicles to us at some point over the years. They know what to do when they get here, and we’re used to accepting cars from them. It’s just in-a-days-work for us, even though it feels like a crisis when you’re in the middle of it. We’ll take care of it and call yo u when we find something out.